The big news—for some, the only news—in Indonesian politics right now is Joko Widodo’s nomination as presidential candidate of PDI-P. I am working up a longer post to give my take on what this means, and watch this space for that. (For now, check out Liam Gammon’s “Meet Joko Widodo” at New Mandala, which has finally gotten its act together to cover Indonesia.) Here, some musings on the symbolism of the announcement. 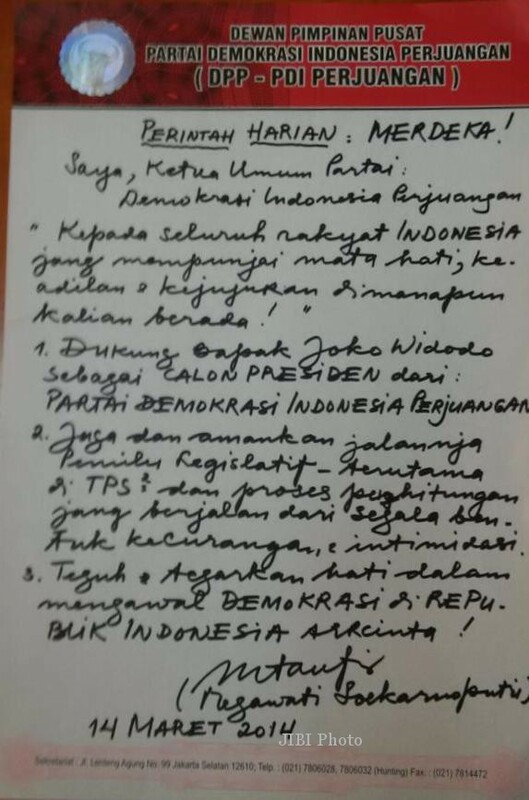 The contents of the letters could not be more different: whereas Sukarno authorized Soeharto to “take all measures deemed necessary to guarantee security and calm as well as the stability of the progress of the Revolution,” Megawati just announces that she supports Joko Widodo and seems to direct all Indonesians—there’s a subtle change in grammatical mood, from a “I say this” to “you do this”—to support the integrity of the vote and strengthen their hearts as the vanguards of democracy in Indonesia. 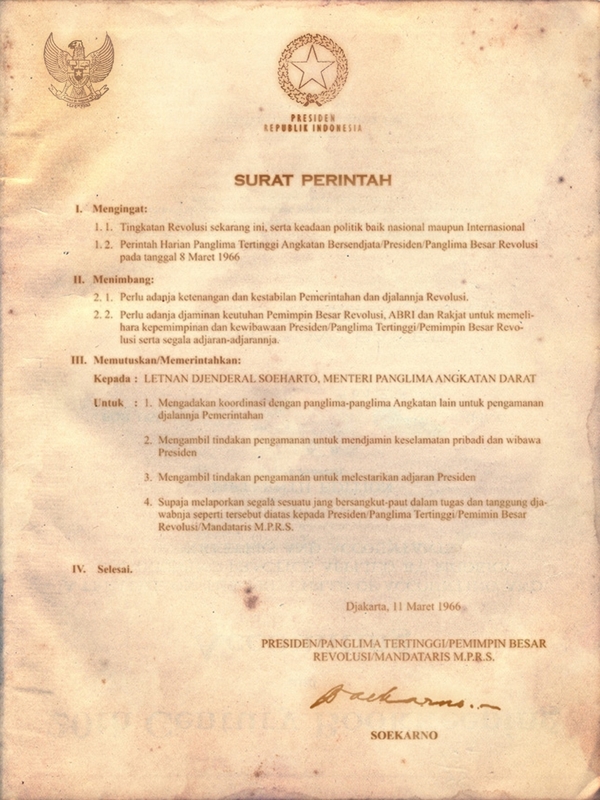 We could call this Megawati’s Sumanemmar (“Mandate Letter of March 14”). Not quite as evocative as Supersemar, but you get the idea. ** It’s also interesting that Megawati uses the old Indonesian orthography in places: jang mempunjai instead of yang mempunyai, etc. Perhaps some conspiracy theorist can make something of that for us.